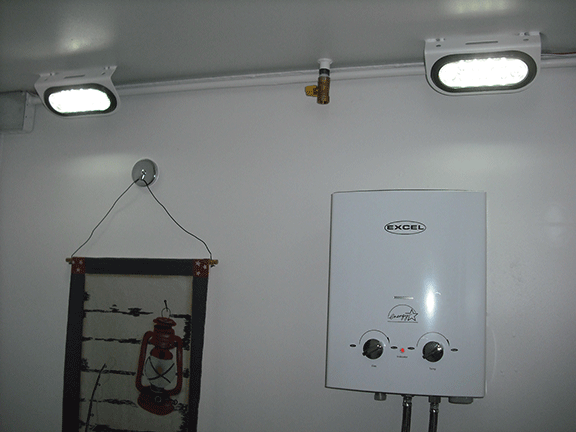 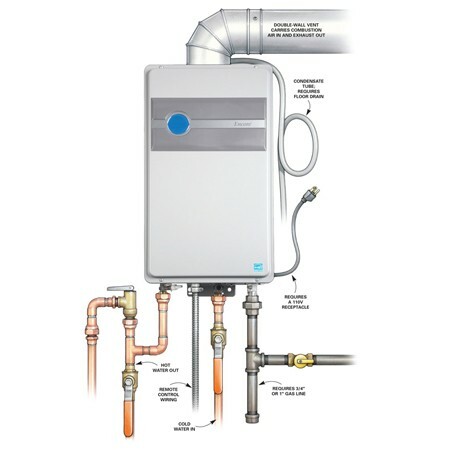 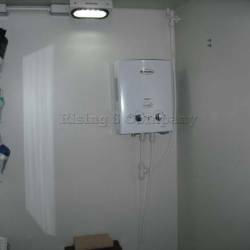 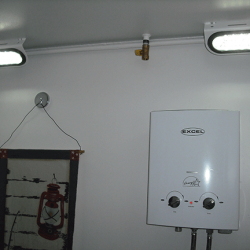 WATER HEATERS – Water heaters are available in the UPGRADE units. 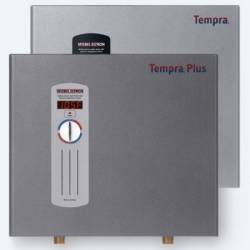 Although we can implement any water heater you request, we strongly recommend that a tankless water heater be used vs one with a tank. 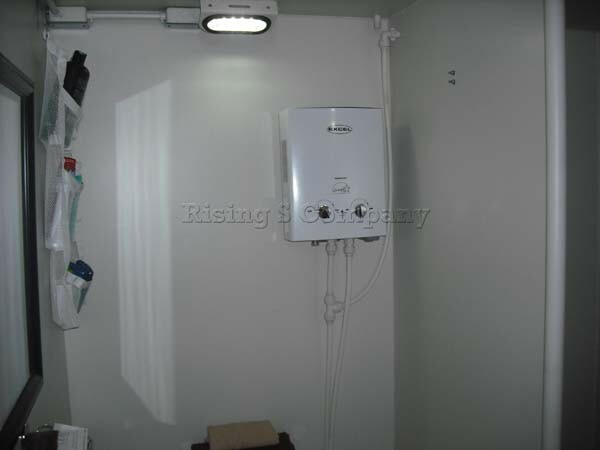 These water heaters are more efficient in energy and water usage. Tankless water heaters are mounted on the wall, therefore they don’t take up any floor space like a traditional water heater would. 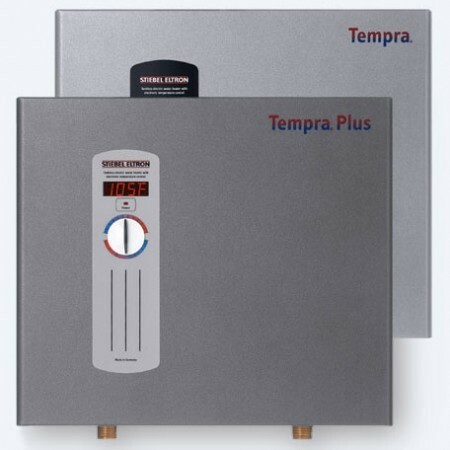 A tankless water heater gives you the ability to have virtually an endless supply of hot water to your bunker.